Based in Ridgway, Alpine Edge Engineering offers professional engineering services in the State of Colorado. Alpine Edge Engineering is committed to sustainable building for tomorrow. Matt Hepp specializes in energy efficient and environmentally friendly structural design. Matt combines an engineering education with years of living abroad and hands-on experience in the construction industry to develop innovative common-sense solutions to today’s structural engineering challenges. 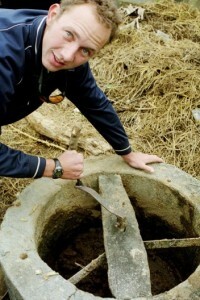 After graduating from the University of Dayton in Ohio, he joined the Peace Corps in Ecuador and worked to engineer a water distribution system for local businesses by securing a well and efficiently distributing the water into the community. Upon his return to the United States, he continued to build upon a complimentary skills-set gaining valuable hands-on experience with building. Matt lived in the mountains near Aspen and directly worked with as well as managed building and framing crews for four years. Matt started engineering work with McMillan Engineering in 2004 and started his own company, Alpine Edge Engineering in 2008. Matt’s philosophy of ‘Living on the Edge’ is applied to his design and engineer plans as well as his philosophy of life. 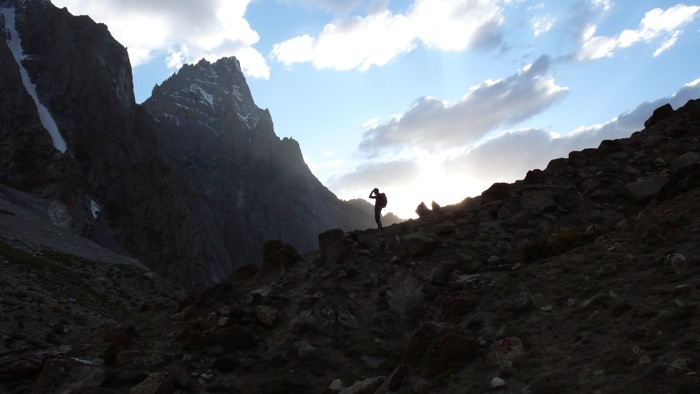 In the fall of 2009, he and another climber were awarded an American Alpine Club grant to travel to the Karakoram Mountain range to complete dual humanitarian and climbing objectives. Since the area has endured a series of earthquakes and floods, Matt traveled to the area to build and teach the construction of post emergency shelters. 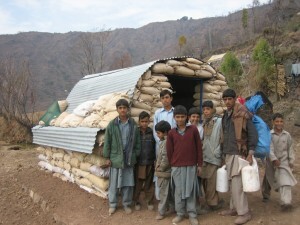 He showed community members how to construct “Hastly” Shelters, created from locally sourced and inexpensive materials that are provide a quickly constructed, but strong shelter. They were created out of sandbags and corrugated metal. See pictures and read more about his experience in Matt’s Travel Blog.